We're pleased to announce that you can now connect all sorts of useful apps to Ticket Tailor via Zapier. Zapier allows different applications to communicate with each other. In practice, this means you can use Zapier to easily automate a number of mundane tasks, such as transferring ticket sales details to spreadsheets, putting together a mailing list from event attendees or creating invoices for purchases. Instead of spending your time making sure that various apps are synced up, you can now link ticket sales to hundreds of applications like Xero, Hubspot, Salesforce and Google Sheets. When Zapier is told that you've made a sale, it will forward the data you're interested in to your chosen application. It's possible to have several Zaps set up at the same time, complete with filters, so that all your apps will be updated at the same time. We're currently updating our documentation to reflect some of the most common ways of connecting apps. Here is a small example of how Zapier can be used to automatically populate spreadsheets. Step 1: Create a trigger and an action. In this case a new ticket sale will trigger a new spreadsheet row. Step 2: Link your Ticket Tailor account to Zapier so that this Zap will work. Simply follow the instructions to copy and paste the webhook. Step 3: Connect your Google Sheets account. While you're here it makes sense to title the sheet you'll be using to record your data and create the appropriate columns e.g. "Event name", "customer name". Here's the sheet I created - it's very basic and there's plenty more data available to import from ticket sales for those who want it. Step 4: Filters. This is where you might channel different clients based on the tickets they bought, the event they attended or a host of other variables. I'm going to leave it blank for now. Step 5: Select your spreadsheet and worksheet, then pick the data you want to automatically transfer after each ticket sale. I have four columns in my spreadsheets because these are the four pieces of information I'm interested in. Steps 6 & 7: Testing and activation. Make sure you test each Zap and take a look at your spreadsheet to make sure everything is working as intended. An easy way to test this (and other Zaps) is to put a fake ticket sale through Ticket Tailor by adding an order as an operator. You can use this particular order to test other Zaps in the future - Zapier will 'remember' it when you hook the accounts together in Step 2. And that's all there is to it! Please note that the spreadsheet and its associated field headings (Event name, email, etc) should be created before step 5. After the sheet has been linked to Zapier a page refresh may be necessary before these field are detected. 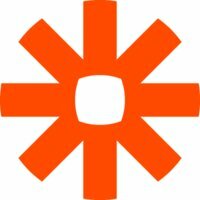 Zapier has their own help documentation, including video tutorials, that can be found here.